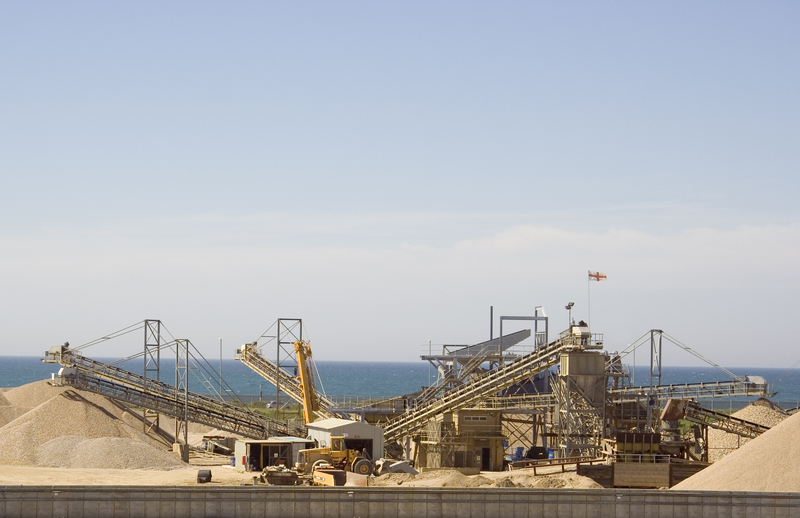 In the last year there has been growing recognition about the need to expand pollution prevention activities, particularly at federal facilities. Read more"Technical Bulletin No 7: Stormwater Pollution Benchmarking Tool"
This technical bulletin is intended to accompany the ESD to MEP spreadsheet compliance tool that was developed to simplify compliance with the 2008 MDE stormwater management regulations. 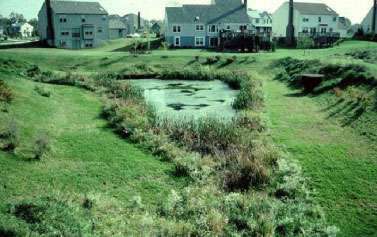 Read more"Technical Bulletin No 6: Users Guide for the ESD to the MEP Compliance Tool"
An extended Detention pond relies on 12 to 24 hour detention of stormwater runoff after each rain event; an under-sized outlet structure restricts stormwater flow so it backs up and is stored within the basin. 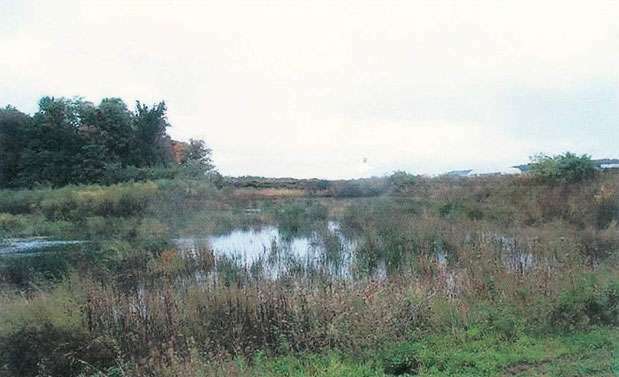 Read more"Design Specification No 15: Extended Detention Pond"
Wet ponds consist of a permanent pool of standing water that promotes a better environment for gravitational settling, biological uptake and microbial activity. 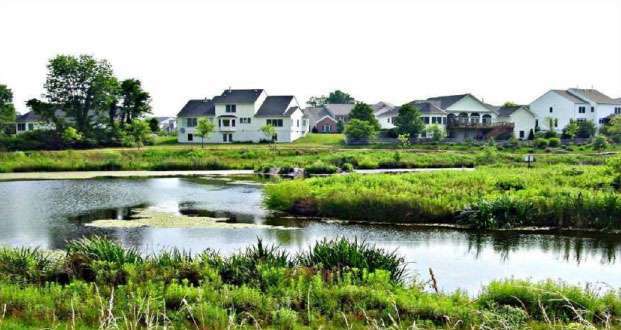 Read more"Design Specification No 14: Wet Pond"
Constructed wetlands are shallow depressions that receive stormwater inputs for water quality treatment, are typically less than 1 foot deep, and possess variable microtopography to promote dense and diverse wetland cover. 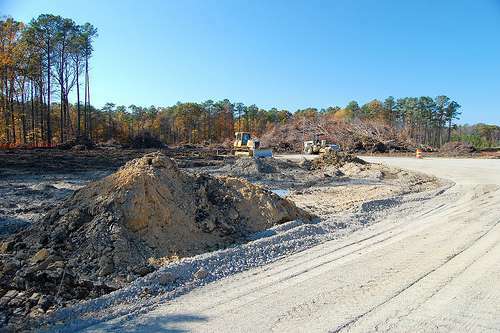 Read more"Design Specification No 13: Constructed Wetlands"
Stormwater filters depend mainly on physical treatment mechanisms to remove pollutants from stormwater runoff, including gravitational settling in the sedimentation chamber, straining at the top of the filter bed, and filtration and adsorption onto the filter media. 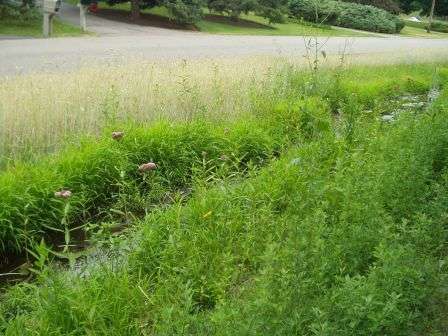 Read more"Design Specification No 12: Filtering Practices"
Wet swales can provide runoff filtering and treatment within the conveyance system and are a cross between a wetland and a swale. 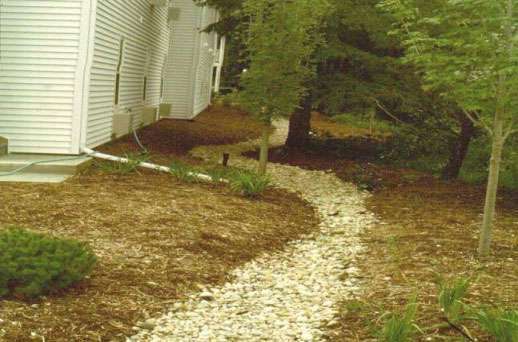 Read more"Design Specification No 11: Wet Swale"
Dry swales are essentially bioretention cells that are shallower, configured as linear channels, and covered with turf or other surface material (other than mulch and ornamental plants). 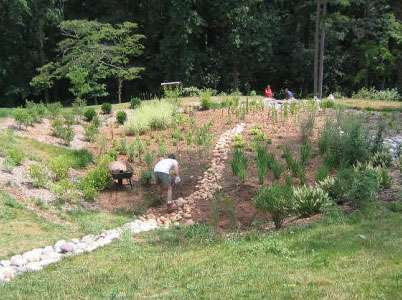 Read more"Design Specification No 10: Dry Swales"
Bioretention creates a good environment for runoff reduction, filtration, biological uptake, and microbial activity, and provides high pollutant removal; bioretention can become an attractive landscaping feature with high amenity value and community acceptance. 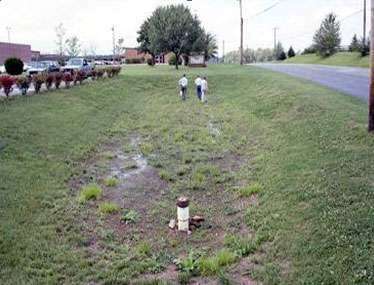 Read more"Design Specification No 9: Bioretention"
Infiltration practices use temporary surface or underground storage to allow incoming stormwater runoff to exfiltrate into underlying soils, allowing for a very high runoff volume reduction capability. Read more"Design Specification No 8: Infiltration Practice"